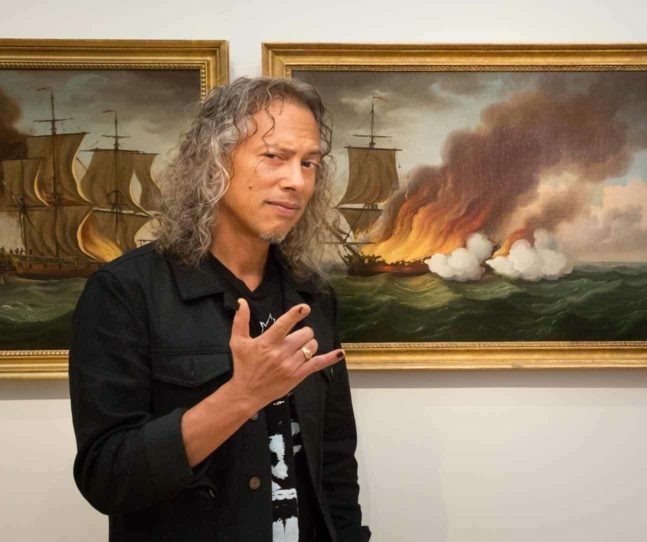 What does a museum photographer photograph? A rare 17th-century Japanese copper, silver, gold and bronze vase? Check! 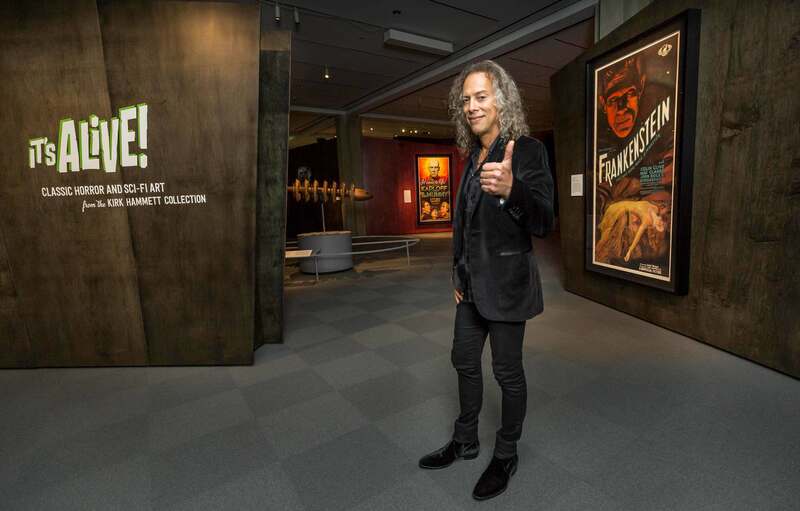 A portrait of rock icon Kirk Hammett, during the run of his exhibition It’s Alive: Classic Horror and Sci-Fi Art from the Kirk Hammett Collection (33,000 likes on his Instagram account!)? Check! Actively engaged children drawing, building and being inspired by the breadth of educational activities? Check! 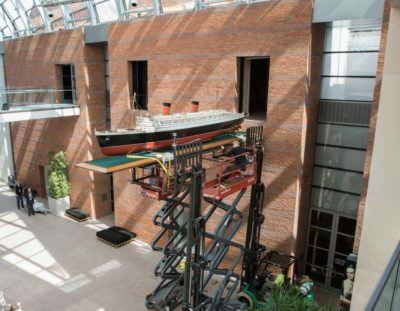 Fifty-foot-long model ships being hoisted into galleries? Check! Yes, every day is an adventure, indeed! 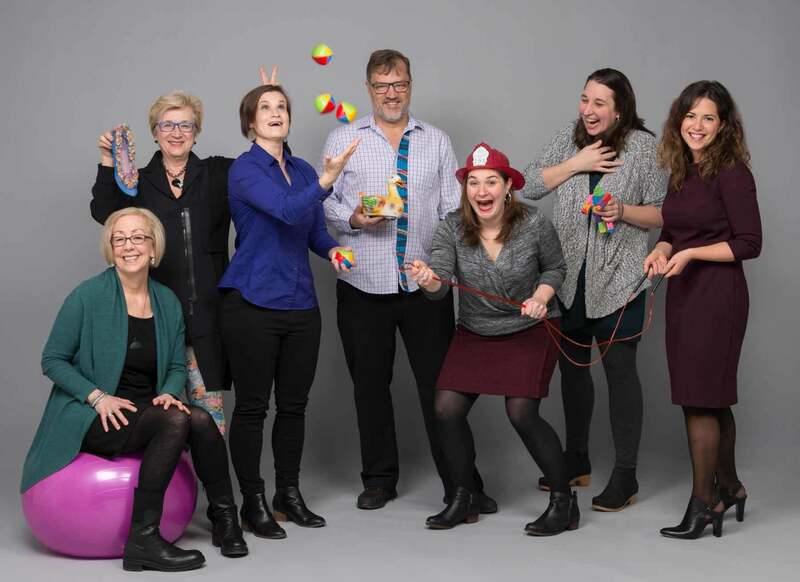 There are many things I love about my job as a photographer at PEM, but one of the most enjoyable is capturing the staff group portraits on view in our exhibitions. 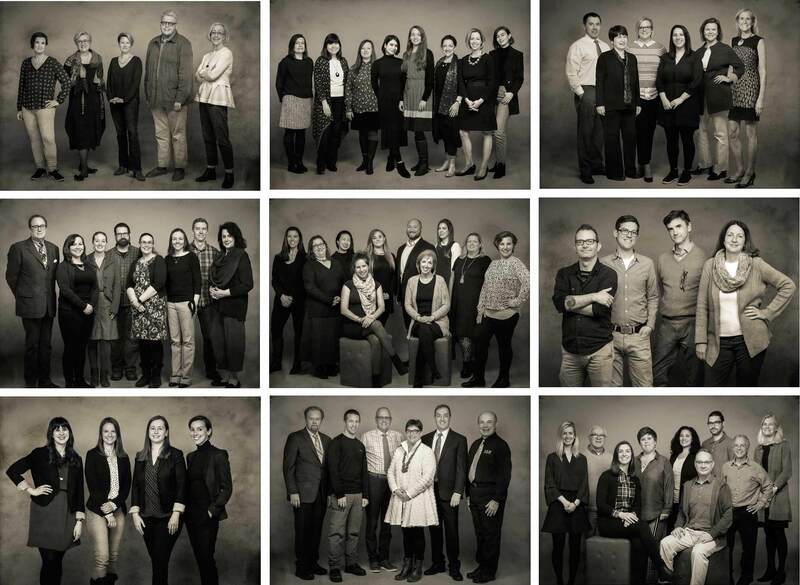 These panels feature the many talented employees who undertake the unseen tasks to bring our exhibitions to life. 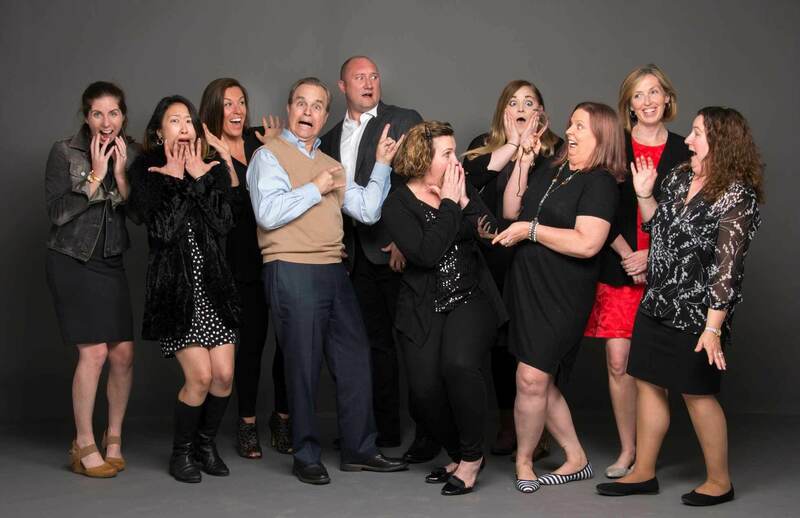 From painting the walls to lighting the art, from designing the gallery space, to coordinating with lending institutions, to executing the top-notch marketing and P.R., to creating outstanding catalogs, these professionals bring their dedicated best to a very challenging job. The public usually only sees the smiling faces of the guest services staff or security guards. But there’s so much more. For the PlayTime exhibition, which explored the role of play in contemporary art and culture, we asked the staff to each bring something to the shoot that expressed play for them. From Etch-a-Sketches to Lightsabers, from Teddy bears to gaming consoles, we got to know just a little more about our colleagues, and the laughter tightened our community spirit in the process. And the public got to glimpse behind the magic curtain and smile along with us. 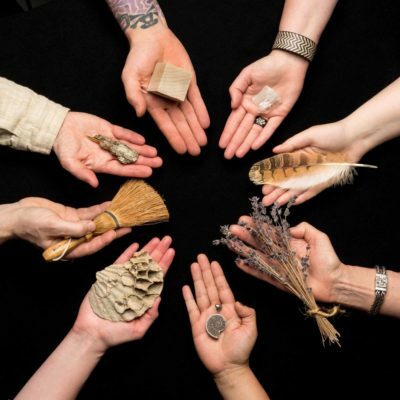 For the Wild Designs exhibition, curator Jane Winchell, The Sarah Robbins Director of the Art and Nature Center, suggested each staff member bring something found in nature that illustrates design. I photographed the staff members’ hands from overhead, as they held these natural things. Conservator Mimi Leveque brought two pieces that had a direct connection – a bark patterned amber bracelet and a piece of the fossilized tree that had created the pattern of the amber. There were feathers, shells, moss, crystals and even a bird’s nest. Museum folks are a creative bunch and the items were quite varied and each had a story to tell. 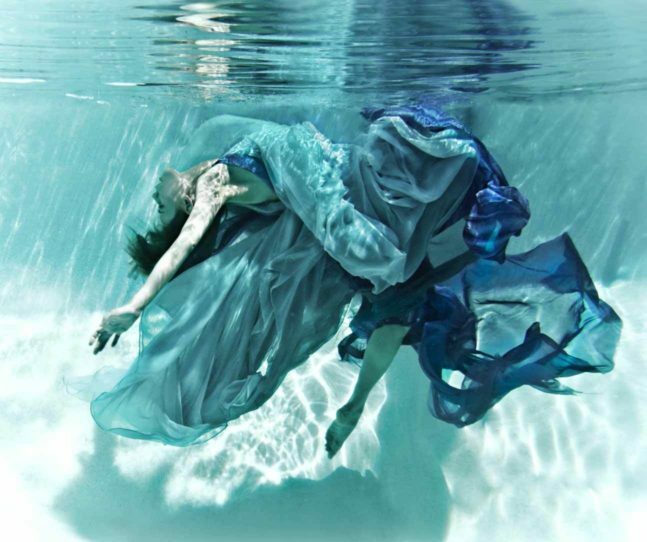 So, how do I make people feel at ease in front of the camera? One trick is to give specific directions -- how to turn for the best angle, to raise chins a bit, or fix a bulge in a sweater, all in an attempt to make everyone look their best. Which translates to people knowing I care and that helps relax them. I think I’ve said “OK, give me a little smile, a little more smile” about a million times. After a reluctant sitter insists that they are THE worst photo subject in the world and that they ALWAYS hate their photos, my favorite “compliment” is “Oh, that’s not awful!” Then I know I’ve done my job.. and there’s always Photoshop! The feedback from the public as well as colleagues from other museums, has been overwhelmingly positive. 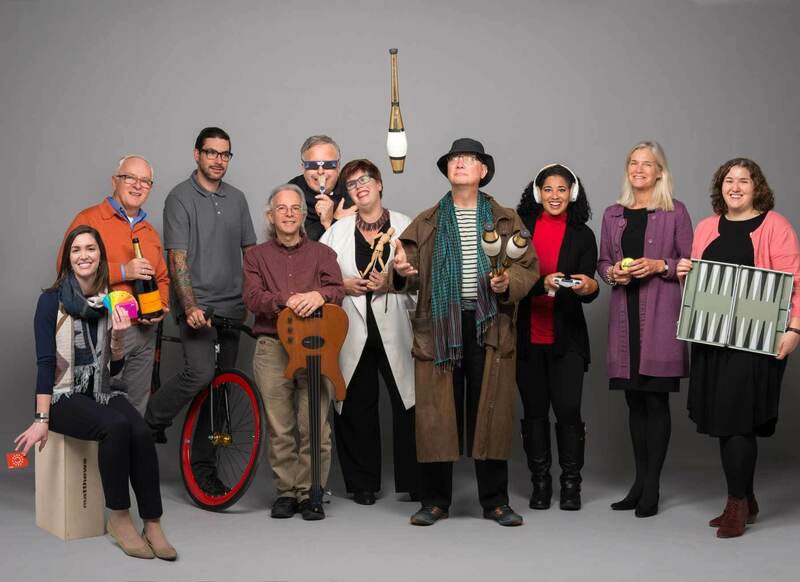 Lynda Roscoe Hartigan, PEM’s James B. and Mary Lou Hawkes Deputy Director, came up with the idea to include staff team photos. 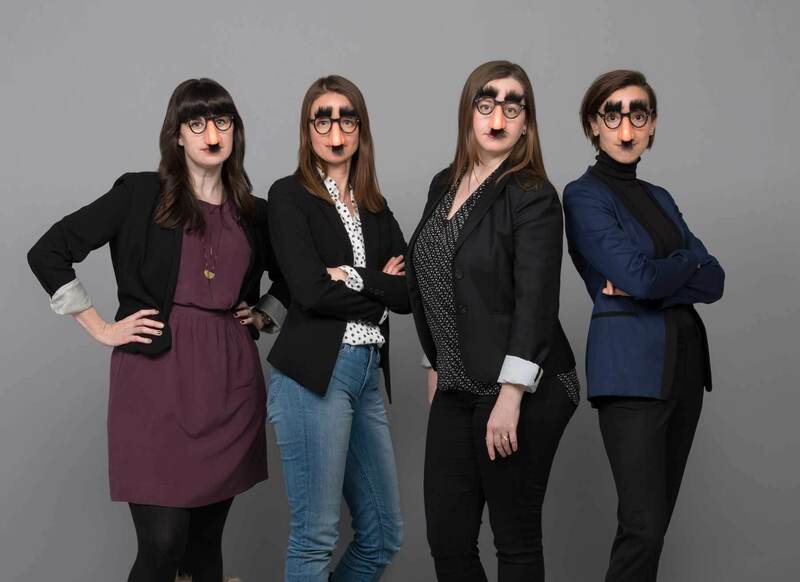 I am beyond tickled that so many people comment on these staff photos,” she told me recently. 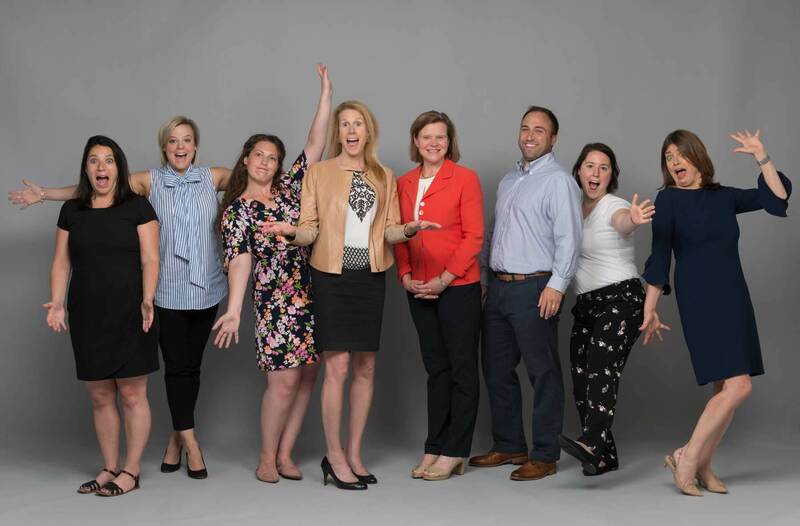 “Consistently, our staff have expressed appreciation for the inclusiveness and personalized, sharing spirit in which the photos recognize their work and project how we value individuals and teams. And people from other museums and organizations have definitely picked up on those qualities and more. Our behind-the-scenes, unsung heroes, unsung no more. 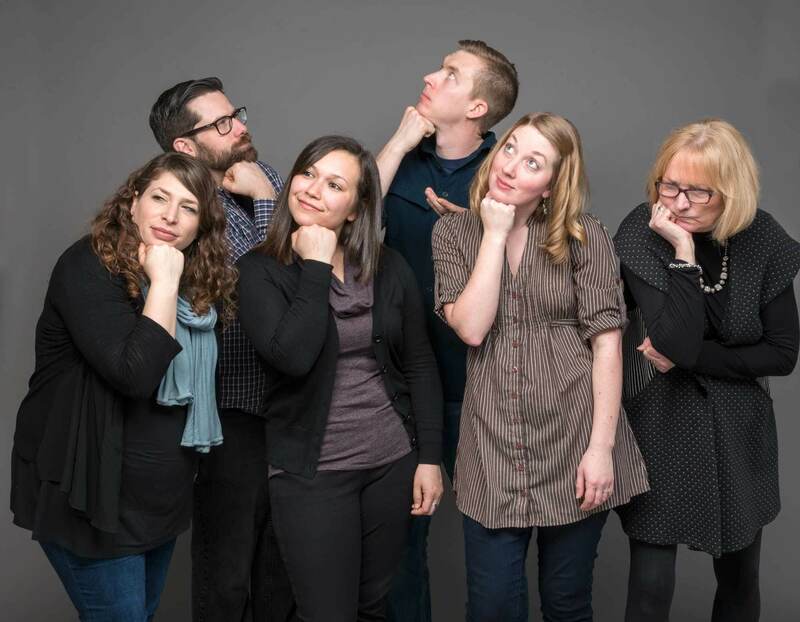 Editor's Note: Just like all of us, Kathy Tarantola is hesitant in front of the camera. Her reaction to staff photographer Bob Packert capturing her headshot today was, you guessed it, "Yikes!"